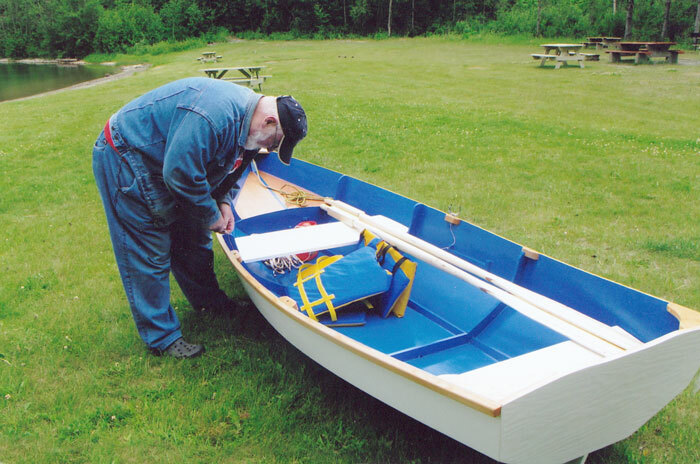 Jim French was needing a boat when his friend Jim Tuck received Dynamite Payson's book, Build the New Instant Boats, for Christmas. So Jim Tuck lent his friend the book, and the use of his shop, and some wood, and a bit of help, now and then. 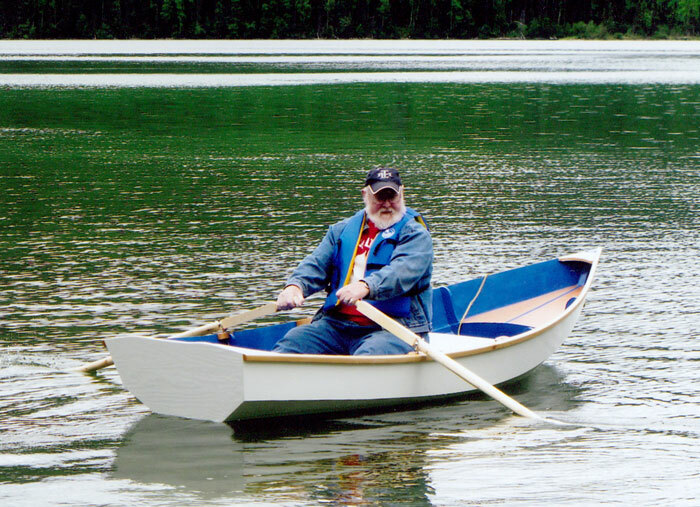 Jim French built a Cartopper skiff in his friend's shop, modifying Payson's instructions by adding a pair of Douglas-fir chine logs and making the center thwart removable. This meant the boat balanced well with one, two, or three people aboard. 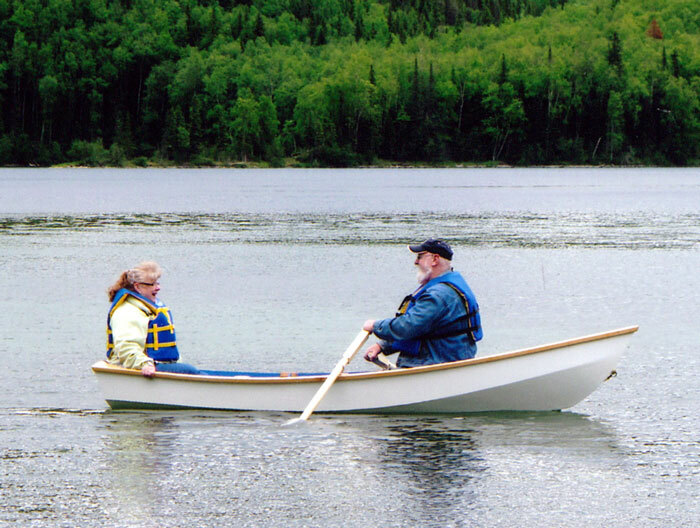 Jim and Valerie French launched their light little fishing boat in June 2010.